Texas Yorkie Rescue View other Yorkies for adoption. 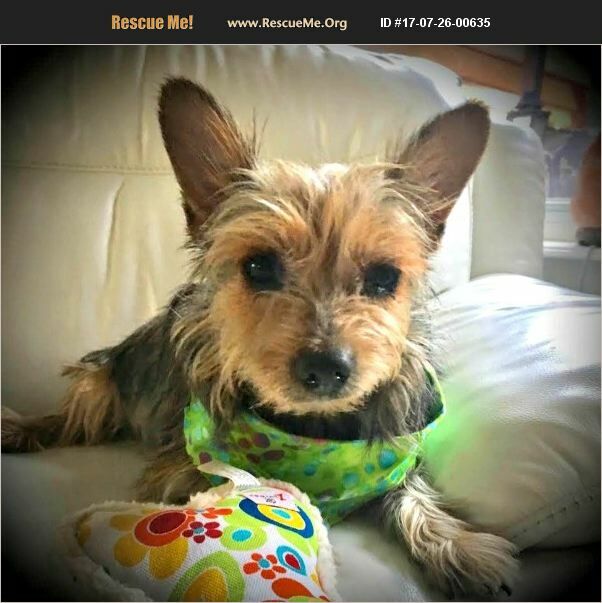 Zoey is fostered in Plano Texas through United Yorkie Rescue http://unitedyorkierescue.org Zoey is a sweet 10 pound, 8-year-old Yorkie girl who came to United Yorkie Rescue in June 2017 from a shelter. he was a stray in the Dallas TX area who was covered in fleas and burs. The burs were all over her head and face, preventing her from shutting her eyes or blinking. Thankfully, she was taken to animal control and the shelter reached out for rescue to take her. Zoey would love to be your companion if she is going to be the only pet in the house. She would love to lay near you, but not on your lap. Zoey gets along with her 4 fur siblings, but we separate her from them at feeding time. Zoey would love to be the only pet in the house or maybe have one older fur sibling bigger than her and not too hyper, for companionship. Zoey likely only had the companionship of other dogs and so she relates better to them, in the right situation. Zoey gets around well but she will not be a fan of long walks, even though she loves the outdoors and is no longer afraid of grass. She is not a fast runner but she likes to try running and keeping up with her 4 fur siblings. She will need someone who doesn't expect a whole lot from her but desires a faithful companion. Zoey will need a sturdy ramp to get up on the couch on her own. Her body is still trying to recover from living her whole life in a cage so ABSOLUTELY no cages or crating, please. Zoey is so sweet and enjoys kisses on her forehead, belly rubs and scratches from her human. She loves her nice and comfy bed and snores while catching her naps. Zoey is a very sweet girl, well behaved and gets along with other dogs. To complete an application for sweet little Zoey go to http://unitedyorkierescue.org to complete an application.